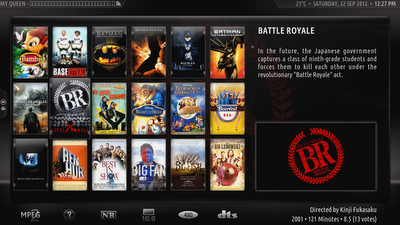 In XBMC you can choose different skins for the front end. 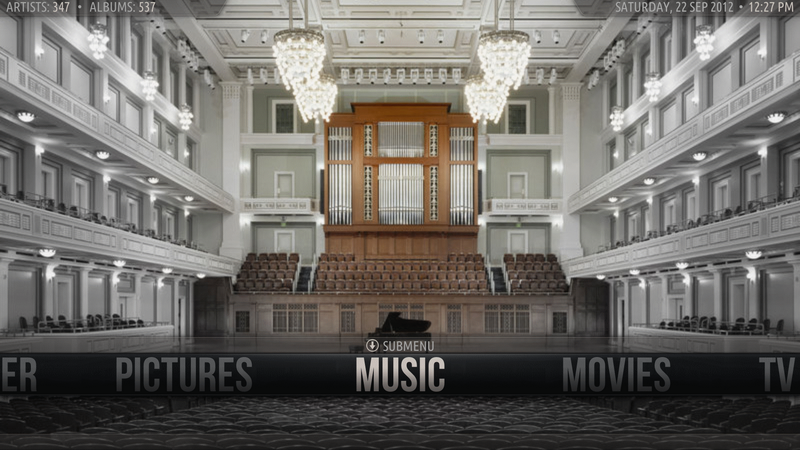 A skin is how the front end handles the presentation of all your media, in short. 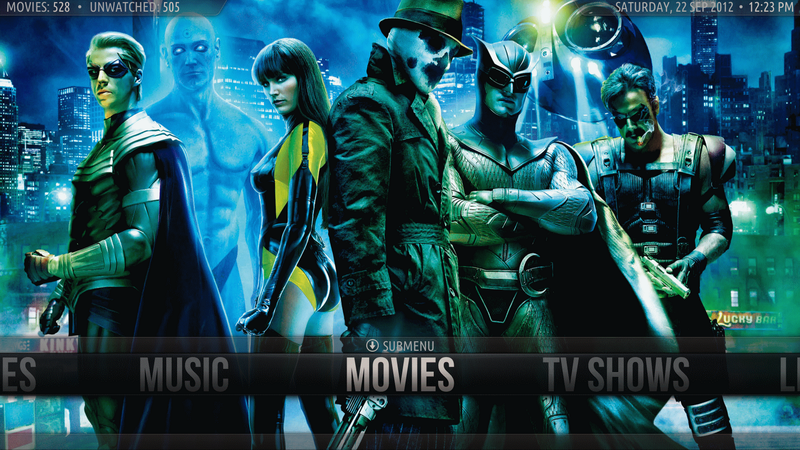 The XBMC skin I use is called AeonNox. This is a branch of the Aeon skin that has had several incarnations since its inception. I primarily use this for the speed and look. The only other skin that I really like is the Neon skin, which is also fast and looks good. 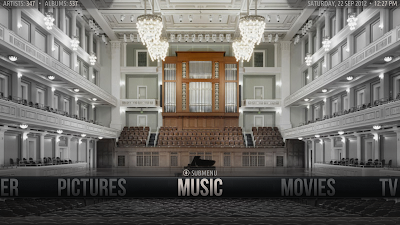 Here are a few shots of the Home menu, where you can pick what you would like to view, i.e. Movies, TV Shows, Music, Pictures, etc. 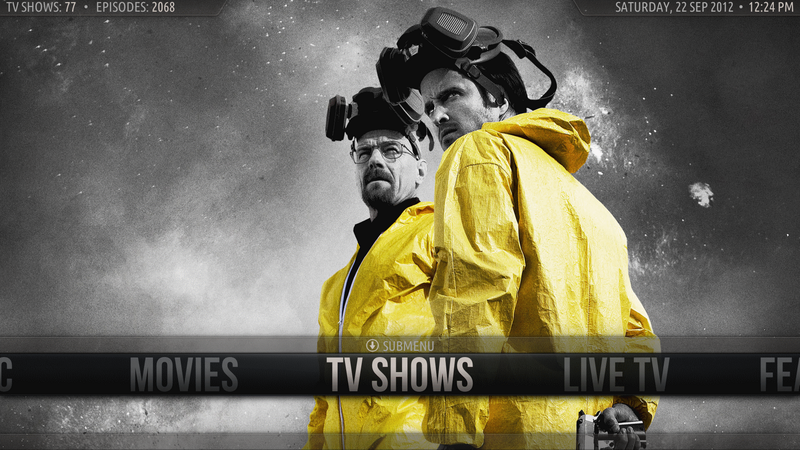 Here is where I can access all the settings for XBMC, which includes which skin I am using, RSS feeds, and how to handle subtitles, etc. I have the skin setup to show different photos every time I go through the menu. 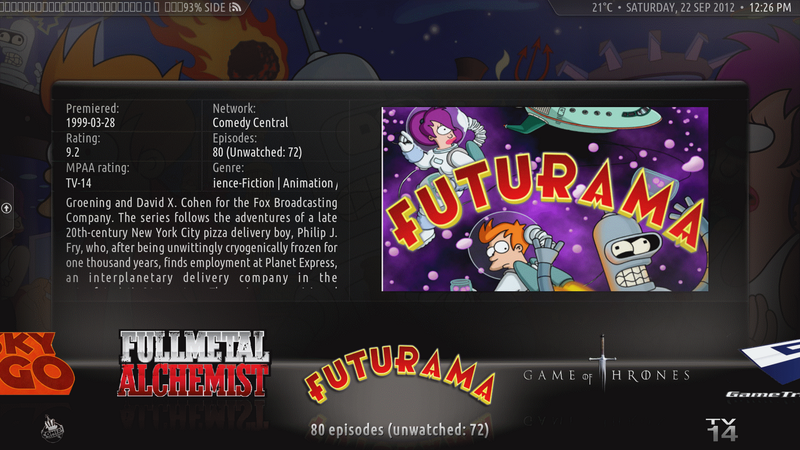 Here is another shot of the TV Show selected in the main menu, with a different picture for the background. I have around 15-20 pictures for each category. 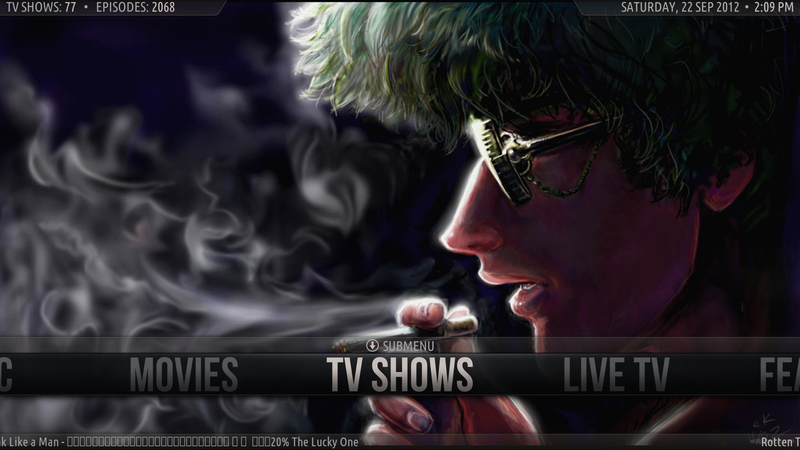 Most skins come preloaded with fan-art for the main menu, but I like to customize mine with these. If you are interested you can find good fan-art at htbackdrops. Let's drill down and select the TV Shows from the main menu. 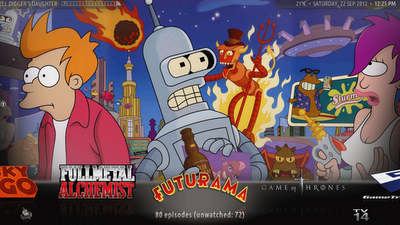 Here I have all my TV Shows with Logos and fan-art. 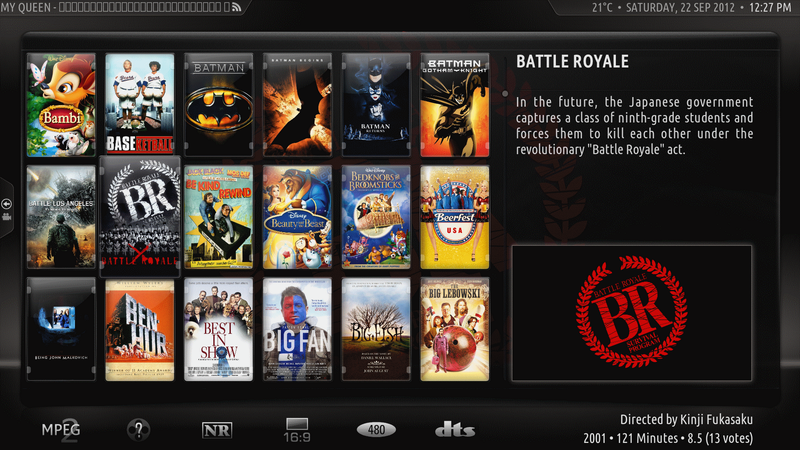 All of these are downloaded by either the basic XBMC or a few plugins that can be downloaded from the XBMC repository (app store). If I wait on a TV Show then after a few seconds information will pop up and tell more about the show. 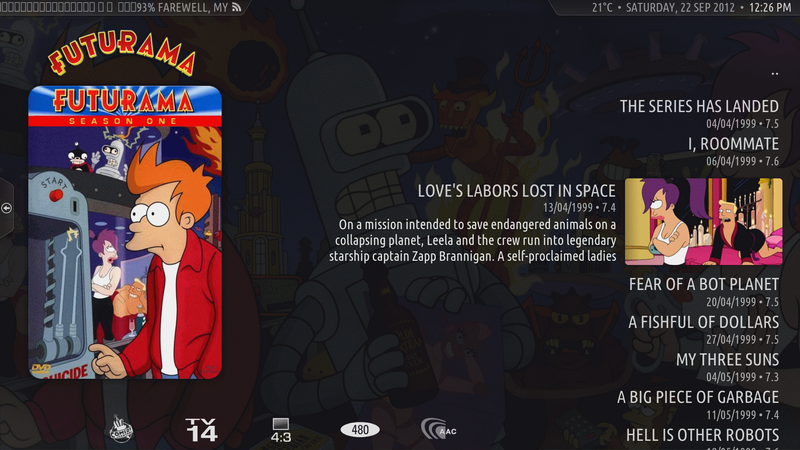 Now let's select Futurama from the list of TV Shows, and we see the different seasons I have listed out with cover art for each season. 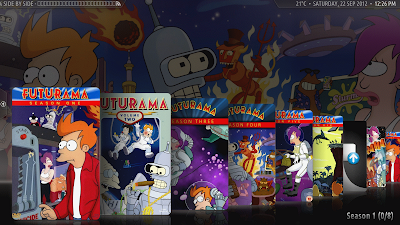 Selecting a certain season will then list out all the episodes I have for that season. All of these views, from the TV Show layout, to the season layout and finally the episode layout can be customized with different skins, and also within each skin via menu options. Again, this all handled within XBMC so all you need is your remote to get this great level of customization. 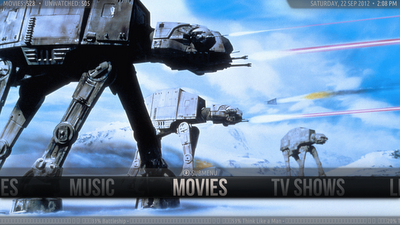 Let's go back to Movies, and select that from the main menu. Here I have a semi-wall view that shows the cover-art/poster for each movie, Information on the movie, and also fan-art for each movie. 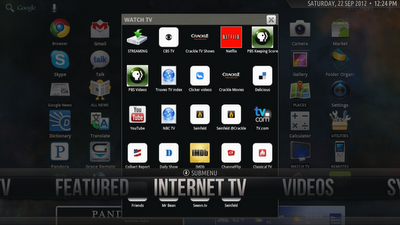 There are other plugins that you can use to access streaming media from the internet, and I use this quite a bit. 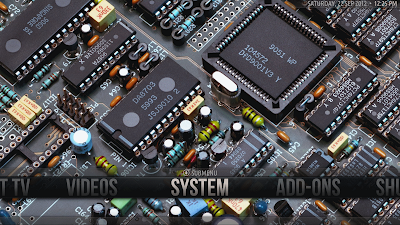 If you go over to the XBMC forums and find blue-cop, he has some fantastic streaming plugins. 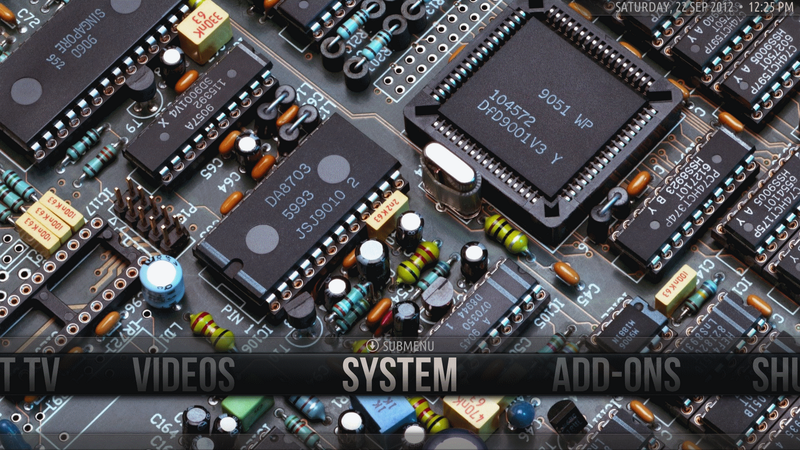 You will need to download his repository and install this in XBMC. I have placed all my steaming media plugins into one place and then created a shortcut on the main menu labeled, Internet TV. I then grabbed some fan-art to show this, and I was good to go. In case you all are wondering, yes I have cut the cord, and no longer use cable as I stream everything or just buy it on DVD/Blur-ay and watch it then. Well that is all I have so far for my media center. Once I start working on my multi-seat setup I will document that here, which should be fun. Until next time, thanks for tuning in!